Change of direction for us this week. 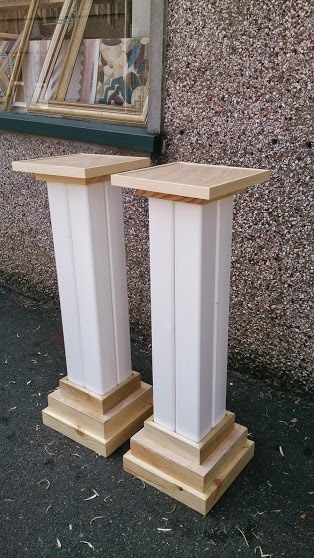 With a wedding coming up next Saturday 20th we were asked to make some feature pillars on which to place two vases of flowers. 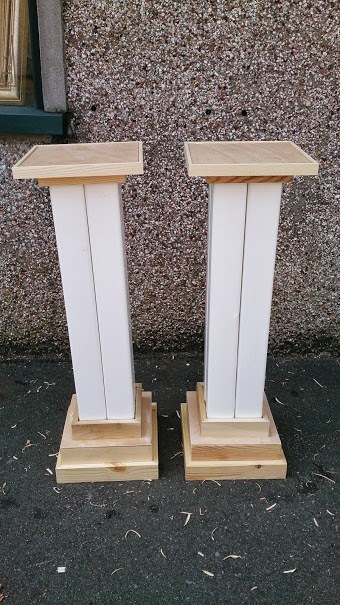 Mainly we have made ’empty’ picture frames for both the top and bottom as you can see. The actual pillar section is composed of four lengths of rainwater downpipe held together with clear silicone. We are pleased with the result and hope the couple will be too. With vases of flowers atop each one there may be the call for more photos.